One of my numerous hobbies is weightlifting. For me it all started back in high school when I was skinny as a rail and was playing football. The football field is no place for a skinny kid, so I started weightlifting to build some muscle and bulk. My parents taught me well and I was never tempted to do drugs. The weight room was where I learned how to lift weights properly and how to make steady progress only through hard work. 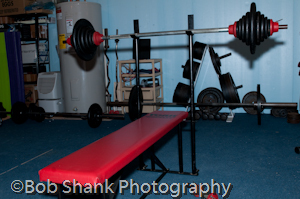 The weight room I was privileged to work out in was in the basement of a good friend and it was a venerable playroom with free weights and machines galore! 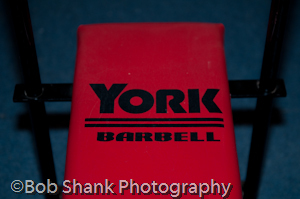 York Barbell was the equipment of choice and it didn’t hurt that we only lived about a half hour from York, PA where York Barbell was located. 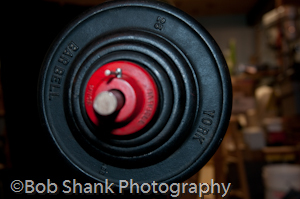 Now, many years and pounds later, I am trying to recreate a York gym that is filled with the York weights and equipment. My home gym is kind of a working museum where many old memories are recalled as I lift the old weights to keep me in shape today. Yesterday I was privileged to acquire a beautiful York weight set and bench. Here are a few photos that I took of them.